Houston mayoral challenger Tony Buzbee followed through his pledge to sue Mayor Sylvester Turner Wednesday, claiming that donated billboards for the city’s AlertHouston! campaign violate campaign finance laws because they feature a photo of Turner. The lawsuit, filed in the 281st state district court, names Turner and Clear Channel Outdoor Inc., the company that donated the 27 billboards, as defendants. 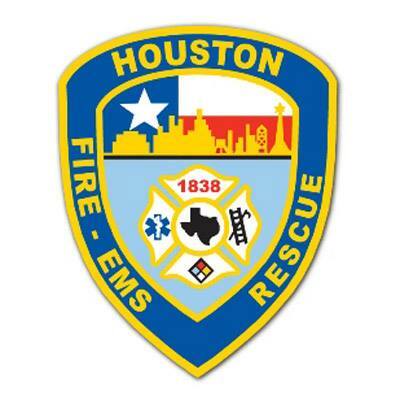 The billboards promote AlertHouston!, a system that sends alerts to Houston residents during emergency situations. I’m not going to waste our time on the details here. Let’s refer to this earlier story for the reasons why this is dumb. Buck Wood, an Austin-based campaign finance lawyer, equated Buzbee’s allegations to a hypothetical real estate agent who, after announcing a run for public office, would then have to take down any advertisements for their private business. “I have never seen anything like that,” he said. Proving the billboards are illegal, Wood said, would require Buzbee to show that the company and Turner struck a deal explicitly aimed at aiding the mayor’s re-election. Each year around hurricane season, former Harris County Judge Ed Emmett would appear on billboards, in some years directing people to the county’s Homeland Security and Emergency Management website. Emmett said he used campaign funds to pay for the billboards during election years. I mean, I know Tony Buzbee is supposed to be a super duper lawyer and all, but maybe he might have asked another lawyer about this first? Just a thought. Before the legislative session kicked off in January, two employees of Texas Scorecard, Brandon Waltens and Destin Sensky, applied for media credentials in both chambers of the Legislature. In the Senate, their credentials were granted; in the House, they were denied. The two chambers follow similar rules about who is allowed special journalistic access to the floor, and both prohibit lobbyists. But the chambers’ political atmospheres are different. House Administration Chair Charlie Geren, a Fort Worth Republican who has sparred with Empower Texans and its PAC in the past, told the group in a January rejection letter that it was ineligible for media credentials because “the organization you are employed by, Texas Scorecard, has a close association with a general-purpose political committee (GPAC) and that the organization’s website prominently displays advocacy on policy matters before the legislature.” As evidence of the group’s affiliation with the PAC, Geren cited the organizations’ shared address — but by the time Geren’s letter was issued, the lawsuit claims, they no longer shared that address. 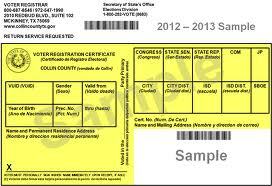 Empower Texans PAC has backed primary opponents to Geren and has given Lt. Gov. Dan Patrick, who leads the Texas Senate, more than $850,000 in the last five years. Now, Empower Texans is very likely to get a friendly hearing from the State Supreme Court, so at least from a strategic perspective, this isn’t a dumb lawsuit. It’s very likely to be a successful lawsuit. But come on. If these Empower Texans flunkies count as “journalists”, then that word has no meaning. All of us are made a little more dumb by the existence of this lawsuit. Shortly after the city’s decision, public outcry in Buffalo, N.Y., led to a concessions company nixing the brand from its plans for the nearby Buffalo Niagara International Airport. Chick-fil-A told Buffalo news station KBKW recent coverage of the company drives an inaccurate narrative about their brand. “More than 145,000 people from different backgrounds and beliefs represent the Chick-fil-A brand. We embrace all people, regardless of religion, race, gender, ethnicity, sexual orientation or gender identity,” the statement said. Earlier this week, the city of San Jose, Calif., voted unanimously to settle the debate in an entirely different way — by flying rainbow and pride flags in front of Chick-fil-A locations both inside and outside of the airport. On Thursday, the San Antonio city council will reconsider its previous vote. Councilman Greg Brockhouse said the city’s decision to exclude Chick-fil-A “embarrassed” the city, KTSA reported. “Every day the Chick-fil-A removal decision is allowed to stand hurts our reputation nationwide as a welcoming and inclusive city. It sends a message we are anti-faith and we cannot stand by without speaking the truth and standing up for our principles,” he said. See here for the background. I don’t know what the city of San Antonio is going to do at this point. There’s certainly a practical argument to be made that they have more to lose than to gain by picking this fight. But like Pete Buttigieg, I think there’s a lot of value in highlighting the moral bankruptcy of anti-gay animus, especially from Christian conservatives. 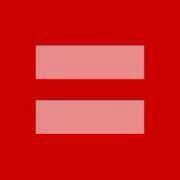 Let the Chick-fil-As and their enablers explain why they choose to discriminate. Also, Greg Brockhouse can go jump into a vat of dipping sauce. Anyway, we’ll see what happens. I’m sure you’re as shocked as I am. Facing an investigation over the state’s botched efforts to screen its voter rolls for noncitizens, the Texas Attorney General’s Office is declining congressional leaders’ request for information about the review. Instead, Mateer wrote, the state will treat the congressional inquiry as a public information request under state law, which grants the Texas attorney general’s office broad control over what information can be withheld from the public. A spokesperson for the committee did not immediately respond to a request for comment regarding the AG’s letter. But in announcing the Texas investigation — part of a broader probe of voting irregularities in multiple states — Cummings and Raskin cited their authority to investigate “any matter” at “any time” under the rules of the U.S. House of Representatives. The committee has the authority to issue subpoenas. Raskin chairs a subcommittee on civil rights and civil liberties. See here and here for the background. I wish I could say I was surprised by this, but it’s about as surprising as a humid morning in July. What happens next is probably a subpoena, but after that it’s anyone’s guess. The committee said in response to Paxton’s letter that it still expects to receive the documents. “The right to vote is guaranteed by the U.S. Constitution, and Congress is charged with protecting and defending the Constitution,” the committee said in a statement. A committee spokesperson would not address a question about the use of a subpoena to obtain the emails and other documents. Joe Larsen, a Houston lawyer and board member of the Freedom of Information Foundation of Texas, said even if the House does file a subpoena, the Attorney General could decline to cooperate. The larger legal question of whether the committee has jurisdiction in a state matter may ultimately have to be solved by a court, Larsen said. Normally, congressional oversight is for the executive branch, which does not include states, he said. “It’s the idea that the federal government cannot be micromanaging what’s going on in the states unless that power is directly given to them by the Congress,” Larsen said. But the committee could make the argument that it has the right under the “necessary and proper clause” of the Constitution to ensure that federal laws such as the Voting Rights Act aren’t being violated. Better hope the courts are sympathetic to that line of reasoning. Our next chance to hold these amoral assholes accountable isn’t until 2022, and we can’t afford to wait that long. 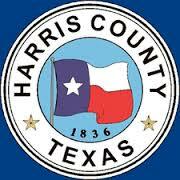 A judge has dismissed a lawsuit against Houston Community College that had been filed by one of the Board of Trustee’s controversial members. Wilson, a District II trustee, called Hoyt’s decision a “bad ruling” and said that he was disappointed that the judge didn’t address the fact that he could be censured again. He and his lawyer are considering an appeal, he said. “We’re still thinking about it, but I wouldn’t be surprised at all if I didn’t appeal it,” he said. When he was censured last year, the trustees also decided that Wilson was not eligible for travel-related expense reimbursements and would need board approval when requesting funding for community affairs programs for the 2017-2018 college year. They also determined he could not be elected for a board officer position in 2018, all of which Wilson said violated his rights, according to court documents. But Hoyt concluded that the board’s resolution did not infringe upon Wilson’s First or 14th Amendment rights because Wilson could freely speak in public and could attend and express his views at board meetings, according to a court document. 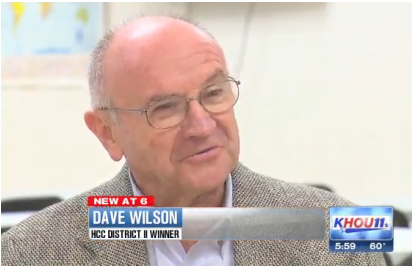 Despite Wilson’s volatile relationship with the HCC board, he has no intention of giving up his position as a board member and said he plans to run for re-election in November. He was elected to the board in 2013. “I love Houston Community College and what they can do for this community, but I hate the way special interest groups are eating away at it and the students aren’t the main focus,” Wilson said. Yes, he’s running for re-election. At least this time, we can see him coming. And we damn well better send him packing. It’s all up to SCOTUS now. See here for the background. A copy of the ruling is embedded in this Mother Jones story. I don’t have much to add to this other than it’s a big honking deal and would have a negative effect on Texas just as it would on states like New York and California that filed the lawsuits against it. You wouldn’t know that from the words and actions of our state leaders, though. USA Today and NPR have more. What can you legally wear when you go to vote? That’s the subject of a lawsuit involving voters from Houston and Dallas. A Houston woman who was forced to turn a firefighters T-shirt inside out at the polls and a Dallas-area man who tried to vote in his Trump MAGA cap are suing a long list of public officials in federal court here for violating their free speech rights. The lawsuit comes in the wake of a U.S. Supreme Court ruling in June invalidating a Minnesota law that banned voters from displaying “issue oriented” apparel at the polls. The case filed in Houston federal court Thursday on behalf of two Texas voters was brought by the Pacific Legal Foundation, a California-based nonprofit advocacy group that won the free speech victory in the Minnesota case. Douglas Ray, an special assistant overseeing election issues at the Harris County Attorney’s Office. said the county will defend itself but Texas Attorney General Ken Paxton — who was also sued — will likely take the lead. County officials last dealt with this issue in 2010, when voters showed up at the polls with Obama-related gear, Ray said. 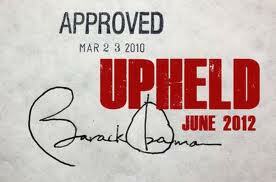 President Barack Obama was not on the ballot, but several measures that reflected his policies were, he said. He said the shirts had the same colors, logo and lettering but one had “Vote for Prop B” and one didn’t. The county attorney’s office advised election judges that the yellow shirts were problematic if they said something specific about voting. The Texas law is more specific than the Minnesota one that the Supreme Court addressed last year, which could help or hurt the case, according to David Coale, a constitutional law expert at Lynn Pinker Cox & Hurst in Dallas. The Minnesota law prohibited voters from wearing political badges, buttons or other political insignia to the polls, while Texas law prohibits inside or within 100 feet of the voting site the wearing of badges, insignia, emblems representing any a candidate, measure or political party appearing on the ballot or to the conduct of the election. There are always going to be some issues when you are relying on individual election judges to exercise their own judgment in interpreting election law. We see plenty of examples of this every year with the voter ID law and whether or not the name on their ID matches what’s on their voter registration card. Restricting what is allowed at the polling place is much more fraught than that. Wherever a line is drawn for what is acceptable, there will be cases right on that line where reasonable people may disagree. I have a certain amount of sympathy for these plaintiffs, but I don’t know that it adds up to enough weight to warrant throwing out the existing law. I suspect the courts will say that it does, but we’ll see. That would be a No from me. A Harris County judge has sided with lawyers for the Harris County Sheriff’s Office and a slate of new Democratic judges vying to loosen misdemeanor bail rules this weekend, rather than grant a request of three bail bond companies that would have delayed the start of the proposed revisions . The companies argued Thursday that the court-ordered bail reform — believed to be a key step in a lengthy legal fight over the pre-trial detention of poor, low-level offenders — would jeopardize their Houston bail bonds business. “They won’t get to write as many bail bonds as they did before and they won’t make as much money as they did before,” said Allan Van Fleet, a lawyer representing the judges. The reform, the companies argue, violates state law because it would guarantee many defendants a specific type of bail without first providing them individual hearings before a judge, and because it would require the sheriff to reject some bonds that otherwise would be valid under state law, among other reasons. “We have a constitutional right to make our living by bail bonds and if they want to amend the way the things are, they can do that but it still has to be by state law,” said Kevin Pennell, who represented Set ‘Em Free Bail Bonds, A Better Bail Bond and Advantage Bail Bonds in the county suit filed Thursday. Eightieth Civil Court Judge Larry Weiman countered the argument before he denied the order. “Doesn’t the court have to balance the constitutional right of the defendants, those who are arrested and charged with a crime,” Weiman asked, before resetting the temporary injunction hearing to March 11. I’ll bet tobacco farmers used to make a pretty good living, too. I don’t know about you, but I’m not sorry for the societal and legal changes that led to the decline of that profession. There will still be a need for bail bonds going forward. There just won’t be as much of a need for them. That is as it should be. A hearing to review the proposed settlement in the original lawsuit will be on March 8. We’ll see where we stand then. Here we go again, like it or not. 1. Republicans have had complete control of Texas government since 2003. That’s eight regular sessions, and however many special sessions, in which they could have addressed this but chose not to. 2. Hecht and former Justice Wallace Jefferson have spoken about this before, but if anyone was talking about it before 2008, when Democrats first started winning judicial races in Harris County, I’m not aware of it. 3. The judges who were voted out may well have been experienced, but that doesn’t mean they’d make better judges than the candidates who replaced them. And the main consideration people had was voting for change. Maybe as part of the party in power, Hecht should given that a little more consideration. Anyway. Until someone proposes an actual system to replace the one we have, one that takes into account the inherent politics of the process and deals with it in a way that truly enables merit and produces a judiciary that reflects the population it judges, it’s all just noise to me. Not much coverage of this, and I’m not sure what that means. Texas Attorney General Ken Paxton on Monday asked a federal judge to strike down Obama-era deportation protections for immigrants whose parents brought them to the United States illegally as children. 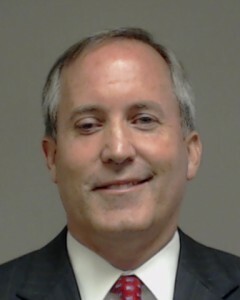 In a motion filed in Brownsville federal court, Paxton asked U.S. District Judge Andrew Hanen to follow through on his ruling in August, when Hanen determined that the Obama administration did not have the authority to implement the Deferred Action for Childhood Arrivals program. At the time, however, Hanen declined to issue an injunction blocking enforcement of DACA. In Monday’s motion for summary judgment joined by seven other states, Paxton asked the judge to end the program and block the federal government from issuing or renewing any more DACA permits to young immigrants. 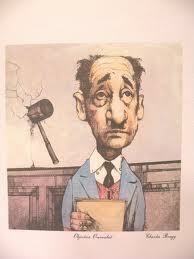 Congress, not the president, has the authority to determine federal immigration law, he said. If Hanen agrees to issue an order ending DACA, he would be in conflict with federal judges in California and New York who have blocked the Trump administration’s effort to end the program in 2017. DACA remains in force while appeals in both cases proceed. See here and here for the background. The Statesman was the only news outlet with a story on this, which may mean there’s little chance it will go anywhere or it may mean we’re all so distracted by the eleventy jillion other news stories out there that no one is paying much attention to Paxton’s latest stunt. SCOTUS just declined to take up the Trump administration’s appeal of lower court rulings keeping DACA in place, which you’d think might give pause to even a Paxton-friendly judge. I’m never quite that optimistic. Anyway, I’m noting this for the record so when something happens I’ll be able to refer to this at that time.